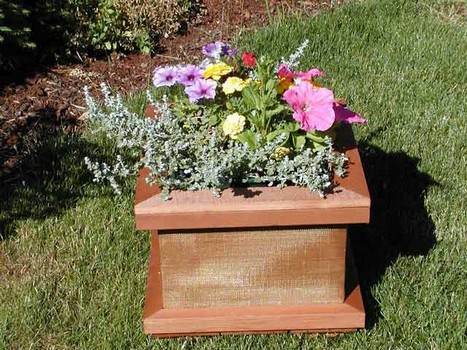 A planter box is simple project the whole family will enjoy building. 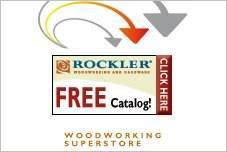 Choose free planter box plans to make the job easy, with tips, material lists and easy-to-follow directions. Build one and you will soon be building more to enhance your yard and keep your planting areas neat and tidy. 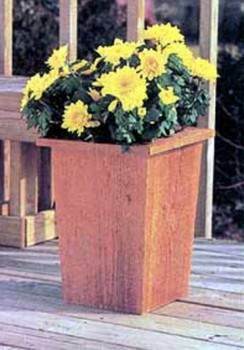 Planter stands on legs makes a comfortable level for planting and enjoying your flowers. 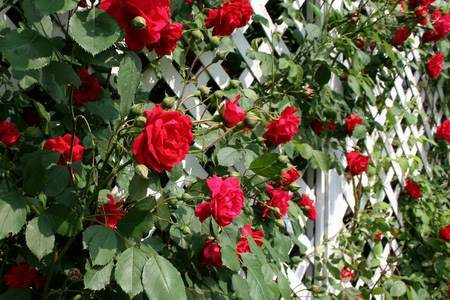 Lattice attached to the back allows creeping vines and climbing flowers a place to grow and decorate your patio or deck. Free planter box plans are available in many styles and sizes, from a mini-box for your favorite blooms to a large, raised bed for vegetables. Use treated lumber to assure a sturdy, durable box that will last for years. Galvanized or stainless fasteners and carriage bolts are important to avoid rust and corrosion. Build an outdoor planter with these easy to follow instructions. Make any garden more unique and inviting to any guest. 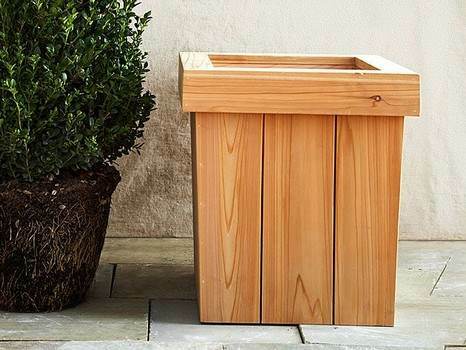 Build this handsome wooden planter that can be placed inside or outside the home using these easy to follow instructions. This planter with four legs is a great addition to a deck or patio and has a plastic planter inside to help keep it looking good for a long time. Dress up the outdoors with this tapered planter box that can hold colorful blooming plants to give your lawn that extra burst of color and beauty. 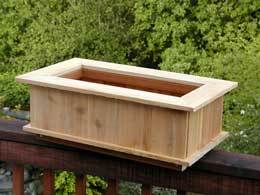 Here are diagrams to help you build a basic planter box that is so easy to make you might want to make more than one. 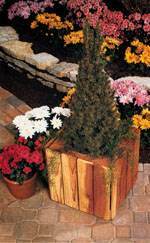 This wooden planter holds the pot that your plant is potted in and can be easily relocated just by removing the pot. Using wood scraps you can easily build a very easy and inexpensive planter box to help decorate your outdoor deck or patio. 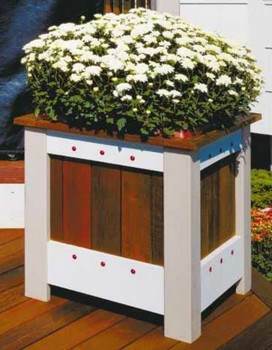 This planter box with lattice work will give beauty and privacy to your outdoor setting. 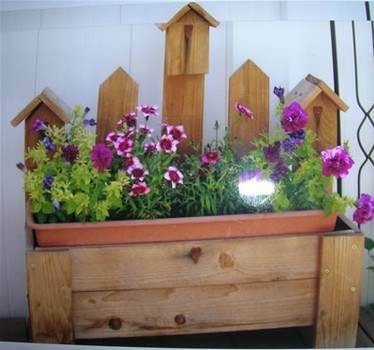 Bild a simple birdhouse planter box that will add charm and interest to any area you place it. 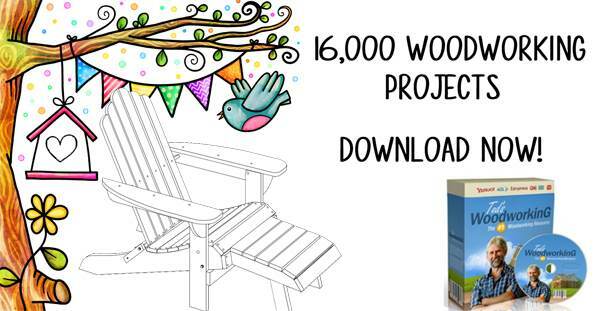 You can create handsome garden planters that are strong and sturdy just by following this free woodworking plan.